We follow and request from authors, reviewers and editors the "ICJME Recommendations for the Conduct, Reporting, Editing, and Publication of Scholarly work in Medical Journals". When an article is submitted to Journal of Intercultural Ethnopharmacology, Editor makes the first check of submitted articles (structure, plagiarism, scientific quality). Article may be rejected, sent back for structural revision, or sent to at least two reviewers for peer review. After peer review process, articles may be rejected, sent back for revision requested by reviewers or accepted for publication. Revised articles by authors may be accepted, resent to reviewers, resent to authors for additional corrections/revision or rejected. Authors could not see reviewers’ information. Editor may make authors’ information available to reviewers or not. Accepted articles are forwarded to publishing process. Editor(s) may require additional materials or changes from authors during copy editing, composing, grammatical editing and/or proof reading steps. A review on ethnopharmacological potential of Aloe vera L.
The articles in Journal of Complementary Medicine Research are open access articles licensed under the terms of the Creative Commons Attribution NonCommercial ShareAlike 4.0 (https://creativecommons.org/licenses/by-nc-sa/4.0/) which permits unrestricted, non-commercial use, distribution and reproduction in any medium, provided the work is properly cited. 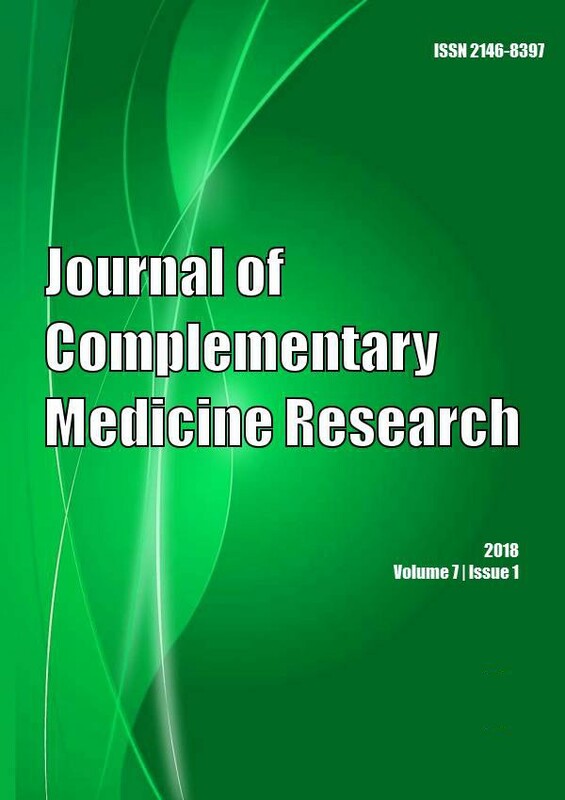 Copyright © 2019 Journal of Complementary Medicine Research All Rights Reserved. Subject to change without notice from or liability to Journal of Complementary Medicine Research.